Let’s find out how the familiar characters are re-interpreted with their descriptions below. The Prince (Richard Madden). The Prince is dashing, intelligent and thoughtful, a kindred spirit to Ella. He loves his father and hopes to one day rule as effectively, and is young and passionate and full of suggestions. Having just returned from war, the Prince now sees there is strength in pacification. The King’s views are more traditional however, and he is hesitant to listen to his son’s ideas. The Stepmother (Cate Blanchett). The stepmother has had her share of broken dreams, which have left her bitter and full of regret. She longs to have a life that is taken care of from a financial point of view and a happy future for her daughters, but is jealous of any affection her husband bestows on Ella, resenting her for her youth, beauty and charm. Following the death of her husband, the financial pressures and panic cause the stepmother’s jealousy to grow, which manifests itself through cruelty and contempt directed at her stepdaughter. 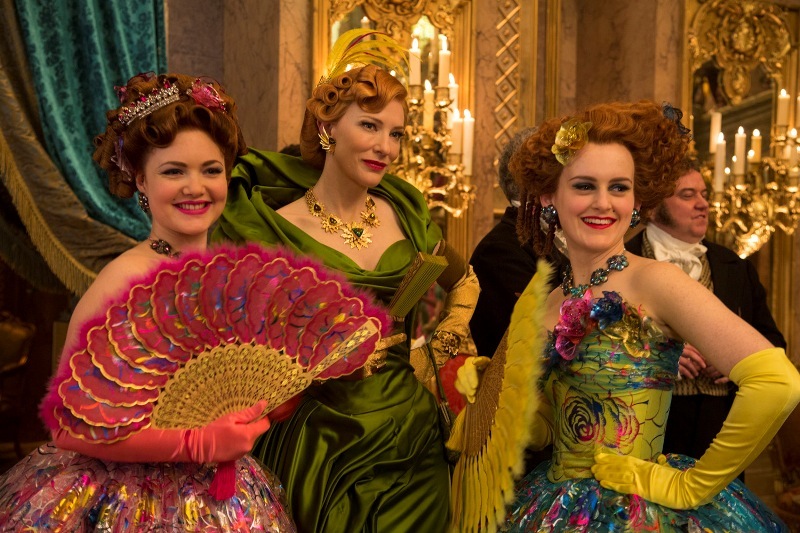 The Stepsisters, Anastasia & Drisella (Holliday Grainger and Sophie McShera). Ella’s stepsisters, Anastasia and Drisella, have lived lives of comfort and privilege but are ill-mannered, boorish and unappreciative of all they’ve been given. Both are physically attractive and try to put forth a pleasant and well-groomed exterior, but in truth they are sometimes ugly on the inside. Lacking self-confidence and desperate for their mother’s approval, both girls are envious of Ella’s beauty and grace, neither of which they possess, which causes them to treat her unkindly. The Fairy Godmother/Beggar Woman (Helena Bonham Carter). The Fairy Godmother is a delightfully-eccentric old woman who cares for Ella and longs to see her happy. But she is forgetful and is easily frazzled. She first presents herself to Ella as a disheveled beggar woman searching for food, and is immediately treated with kindness. The King (Derek Jacobi). A much-loved and successful ruler, the King is proud of his son and wants to see him happy and leading a fulfilling life. But his health is failing, and while needing to ensure the Kingdom will be in good hands once he is gone, is firmly set in his ways and cautious about making any changes. 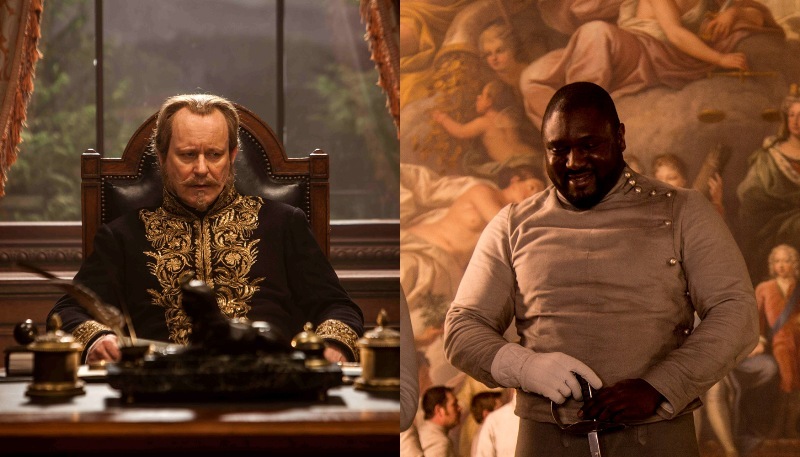 The Grand Duke (Stellan Skarsgård). The Grand Duke is a pragmatic and calculating ally of the royal family. To him, marriage is nothing more than a business arrangement, and he believes the Prince should marry someone politically valuable to the royal family. 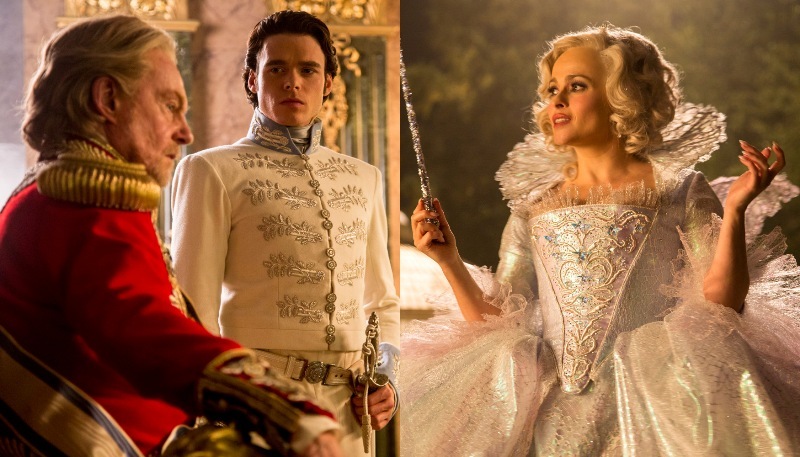 He feels it is his duty to prevent the Prince from finding – and marrying – Ella, and teams up with her stepmother to make sure it does not happen. The Captain (Nonso Anozie). The Captain is advisor and best friend to the Prince. Intelligent, loyal and dignified, he is responsible for the Prince’s safety and well-being, and does so with quiet nobility. 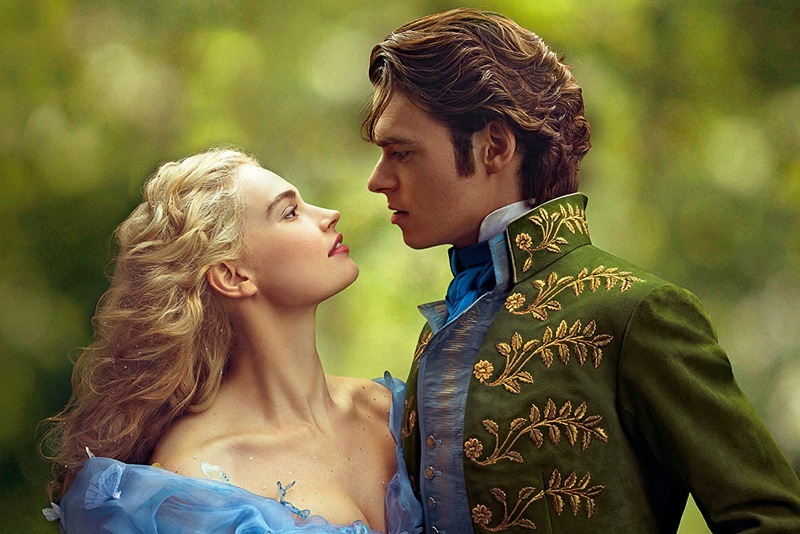 “Cinderella” will be released in the Philippines on March 12, through Walt Disney Studios Motion Pictures International.